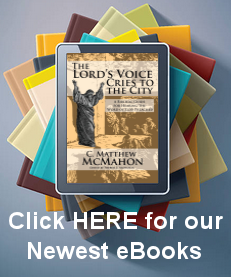 An electronic version of the some of the best Puritan and Reformed works. There are a growing number of data-based programs and book collections coming to light throughout popular Christendom. Certainly such programs, data based CDs, and internet sites are exceedingly valuable since it makes research and writing much easier to cut and paste information from primary sources directly into the work. With the rise of Ages Software, Libronix and other programs, there comes a new data-based CD that houses a plethora of works for the Christian mind to soak up. In the Enclyclopedia Puritannica Project (EPP) some of the best Puritan and Reformed works are available in electronic form. EPP 2.0 is not a program, perse. Certainly users of the CD will “think” they are using a program, but it is actually a browser based CD that displays information in a web based, or HTML format. In other words, you feel like you are on a web page or internet site when you are browsing the CD, which makes for ease of use. The result is that the information is formatted like a web page and all the information is created as a huge web site on CD. The CD has cross-referencing which allows you to find every occurrence of a scripture reference in these Puritan and Reformed texts. Also, a helpful glossary of theological terms and antiquarian words helps to clarify difficult sentences for the modern reader who desires to learn more from the ancient wisdom of the Puritan’s Old English verbiage. without changing sentence structure or page numbering. So the way you would have seen it in a book, so it is here reproduced. Also, they have corrected printing errors, such as misspelled words and invalid scripture references. Even if you already own some of these books in printed form (as I personally own most of them), this CD will enhance your productivity if you are a student, writer, pastor, or theologian in having the ability to 1) access the information quickly, 2) search the information for words or phrases, and 3) transfer the information directly into your own written project, paper or sermon. It is MUCH easier to grab a book off your shelf, find the passage you want, and then cut and paste the text from the CD. Some of my all-time favorite books are in this collection, such as: Edward’s Works, The Practice of Piety, Calvin’s Institutes, Riches Increased by Giving, Of Domestic Duties, and Pastoral Theology. Regularly just buying these books in printed form would cost me around $150 or more. But the CD contains 168 works for simply purchasing the electronic form for minimal dollars. One would be gaining a whole library in one transaction! Are there “cons” to it? The two “cons” I found are minimal overall, and the first is really simply a matter of personal preference. Since the CD is web based, it looks like a web page with frames. For those familiar with internet web sites, “frame” website can be a bit “uninviting”, unaesthetic, and they generally turn me off. The CD reflects these aesthetics, but if you don’t mind frames, then you’ll love the CD. And one should consider that since this is not a program, but simply data, it was on purpose that the CD was compiled this way. Secondly, they have the Psalter listed (for those who sing psalms), but the CD does not come with midi or wav files to play or listen to the Psalter. It is simply the text of the Psalter. So you will not find yourself singing to music, or learning the tunes for the Psalter (something EPP may resolve at a later time). However, for the die-hard Exclusive psalmist that has been singing the Psalter for ages, that shouldn’t be a problem, since, after all, we don’t use instruments (or files that replicate them for that matter)!